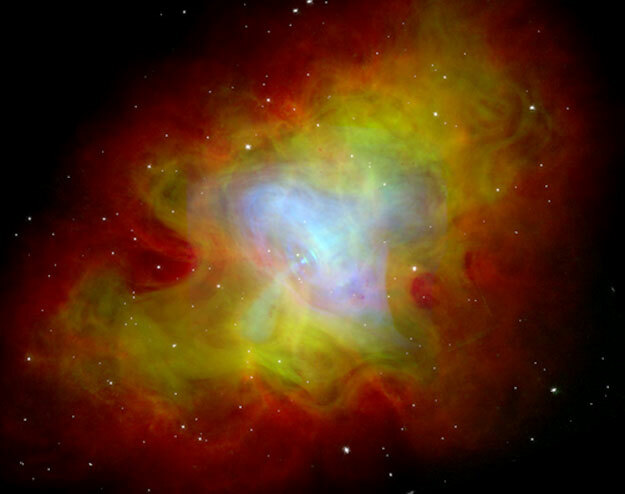 Explanation: How does a city-sized neutron star power the vast Crab Nebula? The expulsion of wisps of hot gas at high speeds appears to be at least part of the answer. Yesterday time-lapse movies taken from both the Chandra X-ray Observatory and the Hubble Space Telescope were released showing a wisp of gas moving out at about half the speed of light. Wisps like this likely result from tremendous electric voltages created by the central pulsar, a rapidly rotating, magnetized, central neutron star. The hot plasma strikes existing gas, causing it glow in colors across the electromagnetic spectrum. 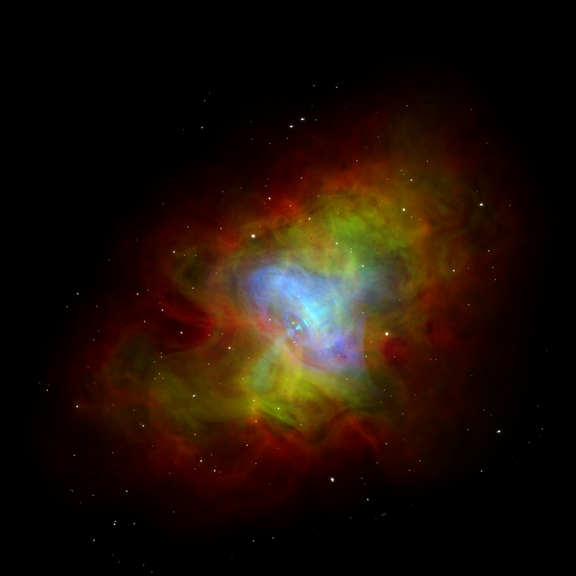 Pictured above is a composite image of the center of the Crab Nebula where red represents radio emission, green represents visible emission, and blue represents X-ray emission. The dot at the very center is the hot pulsar spinning 30 times per second.